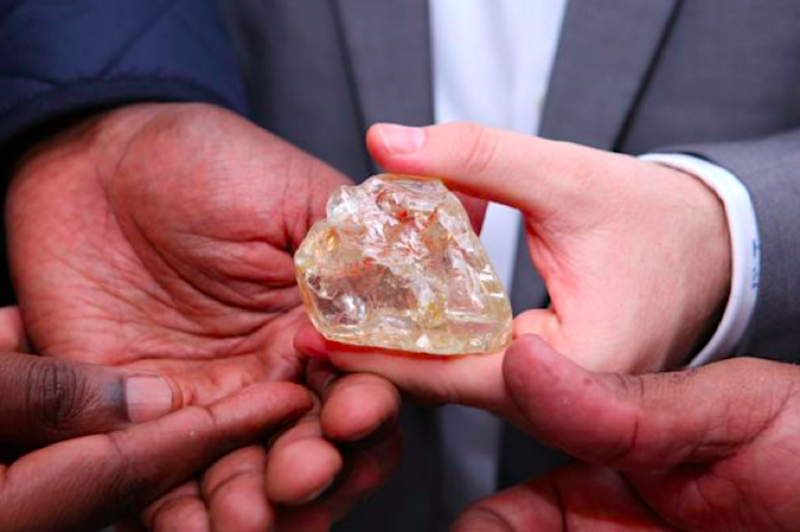 Media reports from Sierra Leone say that Pastor Emmanuel Momoh will not receive the entire proceeds from the sale of the giant 'Peace Diamond,' which he found in the Kono district, located in the Eastern Province of the African country. According to such reports, the National Minerals Agency, which oversaw the sale of the 706-carat diamond at an auction in New York for $6.5 million, said Momoh could not get the entire sum because he violated the Mines and Minerals Act by unearthing the stone while his application for a mining licence was still being processed. “So technically, he did not own the diamond. The diamond belongs to the government of Sierra Leone,” the Director-General of the minerals regulatory agency, Sahr Wonday, is quoted as saying. The pastor will, however, receive 40 per cent of the proceeds and the rest would go to the government, whose officials have committed to administering them in accordance to the law. Before this new development, the pastor had promised to use half of the proceeds to fund infrastructure projects to benefit the community of the small village where the egg-sized, yellowish diamond was discovered. Now it is unclear how the decision would impact his promises. In previous statements, the Ernest Bai Koroma government said it was going to receive about $3.9 million of the final selling price as taxes, while another $980,454 would enter a community development fund, and about $1 million would go to local diggers in Kono. The ‘Peace Diamond’ is among the world’s 20-largest diamonds ever discovered and the second-largest precious rock ever unearthed in Sierra Leone. It was sold to Laurence Graff, chairman of Graff Diamonds, a British multinational jeweller based in London.